5 Signs You Can't Handle Your Own Record Retrieval Anymore - ABI Document Support Services, Inc. - ABI Document Support Services, Inc.
Record retrieval is a critical part of law practice and insurance work. Yet there’s no getting around the fact that requesting records is an arduous task that compromises time, money, and resources. Many legal and insurance professionals handle records retrieval in-house because they think it will save time and money. The reality is that few firms have the resources or technical infrastructure to manage a high volume of requests. The result? Other areas of their work suffer. If your work is constantly hitting roadblocks because you’re waiting on records yet again, it may be time to outsource your record retrieval to a litigation support services provider. Here are five signs you can’t handle your own record retrieval and should consider outsourcing to a record retrieval company. When records requests are causing you to miss deadlines, it’s time to outsource to a record retrieval company. For law firms, cases can’t move forward until all relevant information is available. In many cases, medical records are the most important element in the case. Without them, the case is stuck in a frustrating holding pattern. For insurance companies, adjusters can’t process claims unless they have the full set of records from all custodians. In the legal world, missing a deadline can result in sanctions from the court and even dismissal of the case. This can hurt an attorney’s reputation and, in the worst case scenario, result in malpractice claims and disciplinary action from the local and state bar association. In many cases, firms that handle their own records requests rely on custodians to send copies of paper records through the mail. When huge envelopes stuffed with hundreds of medical records or other documents finally arrive, someone still has to sort through page after page, pull out the irrelevant sections, and analyze what’s left to determine if it’s useful for the case. This process can take weeks — and it has to be repeated over and over again as each new stack of records arrives. ABI offers a better way. Our team will issue subpoenas for records, advance witness fees, follow up with custodians and retrieve your records quickly, securely and cost effectively. Once the records are in our system, we review them for accuracy and resolution, and we take care of bates stamping and organization. We deliver them to our clients through a secure, encrypted connection — organized, complete, and ready for analysis. Getting the records you need requires knowing which custodians to contact, which processes to follow, and which forms to fill out. Each custodian has its own procedures and information. If you don’t follow their steps — or aren’t even aware that they have steps — you’re going to have a difficult time retrieving records that are critical to your case. Records are important – sometimes the most important part of the case. Shouldn’t you make sure you have everything you need? At ABI, we work with custodians across the country. The advantage of working with our US-based team is that law firms and insurers don’t have to track down each custodian and learn their unique rules and guidelines. When you need records, simply log on to ABI’s web portal, make your request online, and our expert record retrieval team takes it from there. No more following up with custodians or keeping track of timeline. In fact, ABI order statuses are updated every five days and logged in your account for 24/7 tracking. One of the main reasons law firms use litigation support services is to cut down on staff being constantly pulled away from higher priority tasks. Record retrieval can take hours out of an employee’s week — time that could be better spent on higher value work. Furthermore, ABI’s services don’t stop with document retrieval. Our innovative document management system, eSummary by ABI™, takes the frustration out of records summarization by organizing records in a cloud-based tool that allows clients to quickly access any document with a single click. With eSummary, clients can also search for a word or phrase across all documents, highlight to create automatic notes, and share notes and documents with key stakeholders for better collaboration and the generation of quicker, more successful outcomes. eSummary also allows clients to copy and paste important information rather than retyping it. When firms handle their own record retrieval, records tend to filter in sporadically and unpredictably. Without the full set of records, it’s almost impossible to analyze the evidence and prepare for the case. This creates delays that can lead to stress, frustration, and even a bad outcome. If it’s taking too long to receive records, or you’re constantly running up against deadlines because you’re waiting on records, you need a record retrieval company. ABI is the national leader in record retrieval. With over 14 regional and field offices and the largest network of field agents of any record retrieval company, we’ve got you covered. And we don’t stop there. We use eSummary to quickly and accurately organize records in a format that make it easy and fast for clients to conduct review and analysis. At any given time, you should know the status of every pending records request — or have a way of quickly checking the status. ABI clients can check the status of their requests 24/7 through our convenient online portal. If you have a question about the status of a request, client representatives are available by phone, email, or online. 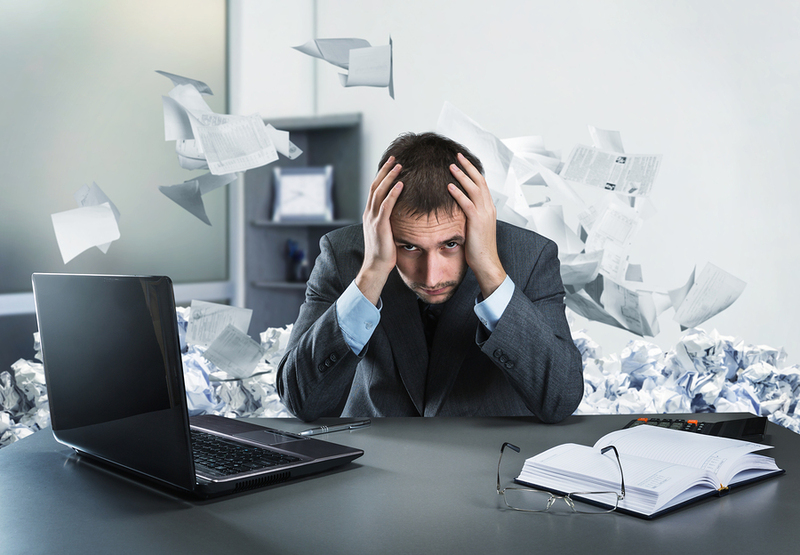 If you feel like there’s never enough time in your day, or that records requests are eating away at your billable hours, reclaim your valuable time — and your sanity — by outsourcing your records retrieval to a document support service provider that can take the headaches and delays out of your records retrieval. To learn more about ABI Document Support Services, contact us today through our online form or by calling (800) 266-0613.